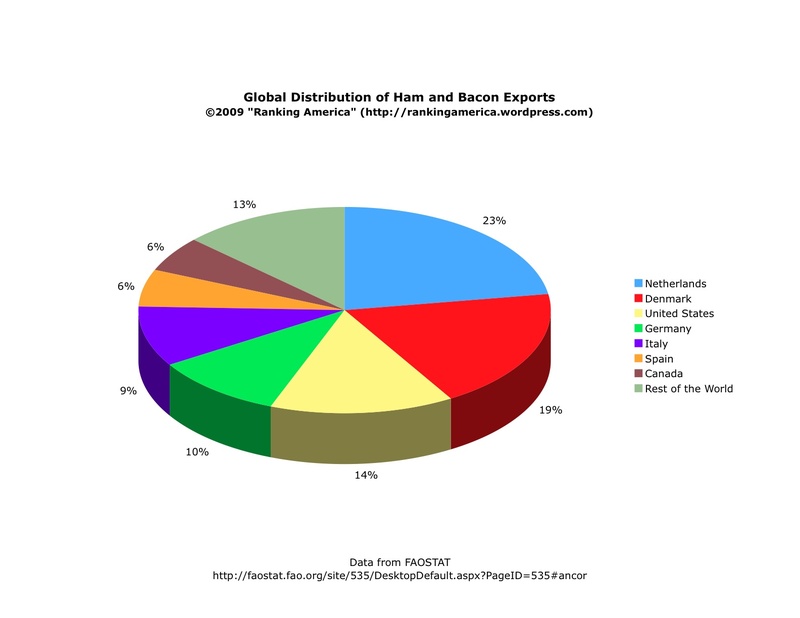 According to FAOStat, in 2006 the United States exported 81,904 tonnes of bacon and ham, or 14% of the world’s total. That was enough to make the United States rank third in that category. The Netherlands ranked first, exporting 128,259 tonnes, or 23% of the world’s total. According to data collected in the periodic UNODC crime trend surveys, in 1999 (the most recent year for reported data) there were 560.11 drug crimes recorded per 100,000 population in the United States, a rate that makes the United States rank sixth in that category. 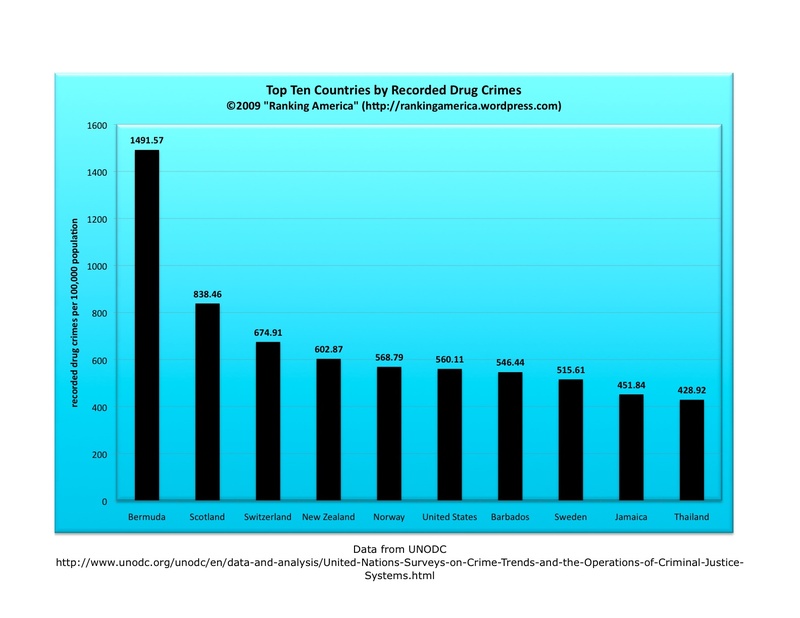 Bermuda ranks first, with 1491.57 drug crimes recorded per 100,000 people. Exact rankings are difficult to measure because different countries report their data in different years.